The first plastic hood that can be used with the stock lighting system. Improve the look of your 2006-2007 TRX 450R and ride at night too. Features dual billet aluminum air intakes and a super durable high gloss topcoat. 5-axis CNC router trimming and drilling gives a perfect fit for every installation. A low-cost alternative with all of the performance of our national championship proven carbon fibre products. 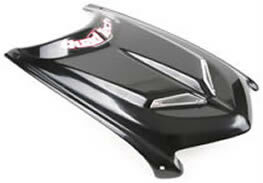 This hood is a spin off of Quad Tech-ATV's very popular carbon fibre NACA duct series. The plastic hood features a super durable high gloss top coat and polished Hex4 billet aluminium grill and fasteners. Manufacture through use of 5-axis CNC router trimming and drilling gives a perfect fit for every installation. This hood scoop improves appearance and increases airflow to the radiator. This digitally cut impact resistant carbon fiber piece protects the very expensive rear master cylinder, not to mention guarding the flimsy reservoir hose elbow from impacts that could disable brake function. Quad Tech-ATV came up with a seat cover that has the perfect mix of gripper top and sides with a vinyl back that has made it the choice of champions. Another first from Quad Tech-ATV. This handmade seat cover and 1¼" higher replacement seat foam make long dune or desert rides a pleasure. No bottoming out in the turns and a much easier transition from sitting to standing position. There are just a handful of products that we consider absolutely essential to a quad, these products consist of things such as wide A-arms, good shocks etc. This new product from Quad Tech has made our short list of must have items. It is honestly that good. A deep high gloss clear coat, high quality carbon fibre, and the polished Hex4 billet aluminium grill. 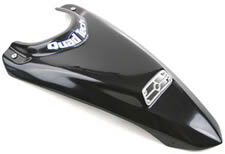 These scoops improve appearance adding the personal touch to quad, and increase airflow to the radiator. 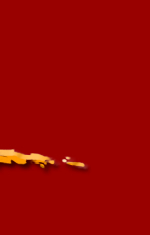 Used by top riders around the world. also serves the ultimate purpose of relocating the brake fluid reservoir to a much cleaner looking and more safe location behind the master cylinder and under the carbon fiber guard. This specially formulated carbon fiber case saver is digitally water jet cut for a precise fit. Our super light skid plate is produced using specially formulated carbon fiber, that is digitally water jet cut for a precise fit and is guaranteed to withstand the abuse of pro national riders. What you see is the flattest, roundest, and most functional seat foam available today. This seat cover is also superior in appearance to the previous blocky and bulky foam. With a 2 1/4" increase in height over a 2004 foam, the transition from sitting to standing is much easier. Quad Tech-ATV delivered a seat that desert racers/riders and dune riders love. A must for any LTR with the headlight removed. The beak not only finishes off the front of the LTR but also protects the fragile electronics previously protected by the headlight. With a 2" increase in height over a stock LTR foam, the transition from sitting to standing is much easier. We knew that the sides and back needed to be rounded off, this saves unwanted weight and also saves the rider from any jolts while leaning back on the LTR at speed. Using the pro national championship proven materials and construction methods the LTR hump is guaranteed to deliver performance, comfort, and durability unmatched by any other brand of seat. During hard acceleration, hill climbs, or in mud you can let the hump do some of the work so your arms don't have to do all of it. The first of it's kind Shaft Protection System features digitally cut carbon fiber guards and replacement billet aluminum spring retainer clips. They promote the cooling of the shock body and shock fluid while also allowing easy cleaning of all moving parts and seals. The shorter plastic guards promotes the cooling of the shock body and shock fluid, while also allowing easy cleaning of all moving parts and seals.